I read a lot of cases. Some are very interesting, thought-provoking, and eloquently written. Others are plain ludicrous. Well, during my daily ritual of browsing over The Huffington Post, I came across a lawsuit that I thought would be amongst my top five of ridiculous lawsuits. 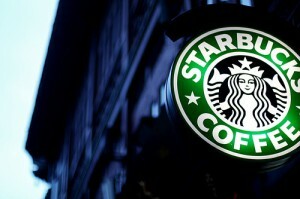 Starbucks is getting sued over an unfortunate incident that occurred in Missouri three years ago. A nineteen year old named Aaron Poisson came into Starbucks and stole a tip jar with less than five dollars in it. A noble fifty-four year old customer by the name of Roger Kreutz chased after him. Kreutz and Poisson struggled outside, and Poisson managed to break free and get into his car. As Poisson backed out his Ford, he knocked over Kreutz. Kreutz was then rushed to the hospital and died a few days later due to severe head injuries. A week ago, the Kreutz family filed suit against Starbucks for the wrongful death of Roger Kreutz. The family claims that Starbucks “invited criminal behavior” by having the tip jar in a position where it is easily accessible to customers. Additionally, Starbucks had no security in place to prevent such a crime. This dearth in adequate security, Kreutz’s family claims, is the direct and proximate cause of Kreutz’s death. The family concludes its complaint stating that Starbucks breached its duty to exercise reasonable care. Starbucks had a duty to protect customers like Roger Kreutz from such incidents, or if not protect, then at least adequately warn customers of potential harm. The amount of damages the family is claiming has not been released yet, but we can all reasonably assume that it will be a hefty amount. Many readers reacted to this article by stating that this suit was ridiculous, lawyers are money-minded scumbags, and that the Kreutz family is greedy. Now, I do not whole heartedly agree that the Kreutz family’s lawyer and the family itself are greedy. However, my first reaction to this suit was that it does seem ridiculous. However, the Kreutz family’s legal representation must have some justification for pursuing this suit, and therefore I do not want to dismiss it with a “ridiculous tag” just yet. It is obvious that the Kreutz family’s legal representation would suggest going after Starbucks, because Starbucks, not the young Mr. Poisson, has the money. Although the incident was unfortunate, Starbucks was the premises of the incident. Further, the altercation resulted from the theft of a Starbucks tip jar. Thus, it is reasonable to say that Starbucks is involved in the incident and therefore can be brought into the suit. Looking more into the heart of the claim is where things become interesting. The Kreutz family is suing for the wrongful death of their family member. In a wrongful death lawsuit, the basic claim is that the victim’s death was directly and proximately caused by the defendant’s conduct. Had the defendant not conducted himself or herself in that manner, the victim would not have died. With this background, now looking into the Starbucks situation, is Starbucks’s conduct of placing the tip jar within customers’ reach punishable? It is a tip jar, so it should be in the reach of customers in order to collect tips. Starbucks will likely argue that the placement of the tip jar within reach of customers was not to invite criminal behavior, but merely to make the jar accessible to customers so that they can leave tips. This claim of inviting criminal behavior is very weak. However, the points regarding security and duty of exercising reasonable care are much stronger. The aspect of security should be looked into. A coffee shop is a business open to the public. Most businesses do ensure some sort of security be it via video cameras or security guards patrolling a plaza area or parking lot. Where was security when Kreutz was chasing Poisson? Since the theft occurred at Starbucks, shouldn’t Starbucks have some security measures in place for thefts? If so, why were these security measures not practiced that day? Further, the law does recognize that every individual has a duty to act reasonably in order to prevent harm to society. In other words, people need to be prudent and not go around doing things that will harm others. This duty also carries over to businesses. Businesses do have a duty of reasonable care; they need to act prudently in order to prevent any harm to customers. If there were no security measures that were practiced that day due to the theft, was Starbucks acting prudently? No. 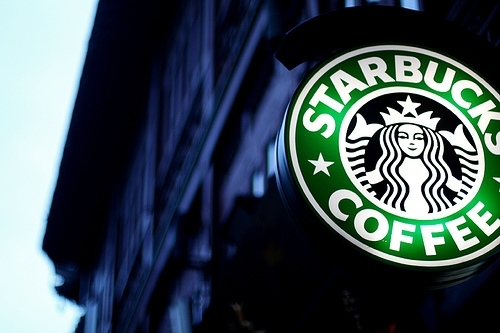 Does Starbucks have a duty of reasonable care to its customers to prevent harm? Yes. It is reasonable to say that included in this duty of care is to provide security measures that will safeguard customers when incidents of thefts occur. Some security measure, if not taken, should have taken place when an elderly customer chased after a young teenager who stole a tip jar. Starbucks is a multi-million dollar corporation; they should be aware of this duty of reasonable care and should ensure that it is implemented in all of its locations. According to the facts given, the lack of security that day exemplifies a breach in Starbuck’s duty of reasonable care. Therefore, Starbucks is not off the hook and should be partly liable. Perhaps if some security measure was in place, security would have gotten to Poisson before, or alongside Mr. Kreutz, and his death could have been prevented. So for anyone who is going to follow up on this lawsuit, I ask that you not dismiss it off the bat because you think it is stupid. We all need to remember that businesses do owe a duty to their customers, and this duty is not something to be taken lightly. After all, as seen with the incident in Missouri, unfortunate circumstances may occur with even a minor breach in a business’s duty to exercise reasonable care. « With Cuts in Federal Funding Likely, What Will Become of Legal Aid? First of all, it is a tip jar, it never has any reasonable amount of money in it. Starbucks had no legal requirement to employ someone to stand around watching it, if anything they have a legal requirement not to because security tends to scare people and doing so could reduce the tips received, not to mention reducing customers. Secondly, the old guy had no business running after the guy who stole it. He is not a cop, nor an employee of starbucks, he should not have gotten involved. Kreutz chose to involve himself in the altercation. Poisson is clearly culpable for striking Kreutz with his car, but Starbucks should bear no liability for Kreutz’ decision to get involved in the theft which, in the end, only involved Starbucks and Poisson. First. If having valuables in plain , reachable areas is reason fo suit, then what does this mean for every store out there? Second.If there is any wrong doing then why aren’t Kreutz’s going after the very people invoved in claiming responsibility for protecting the public in the first place.I am refering to law enforcment and the city it’self. If claiming that starbucks is the sole wrong doer in this case,then the picture now becomes clearly that starbucks is being singled out, which now becomes harassment toward star buck.